We all want to have a patio in our house for aside from being an extended social area, it allows us to spend time outside with the comforts of our home. 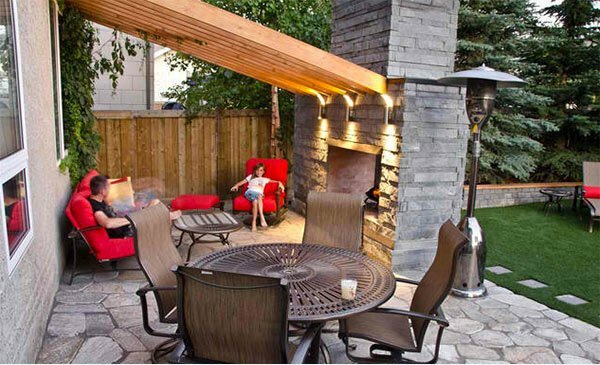 A patio can be placed in front of the house, on one side, around the house or in the backyard. This depends on the available space of your yard or of the area and shape of it. It also depends on your needs as well as your budget. 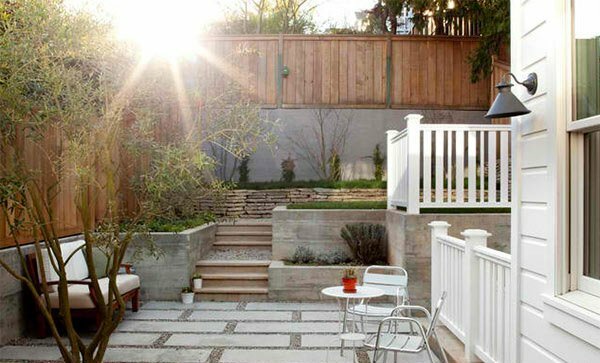 But if you are looking into having a contemporary backyard patio and you are not yet happy of the designs that you have, then you can check this list that we have today. 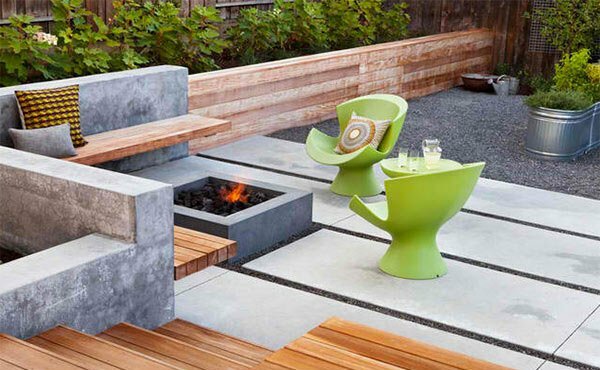 This will surely give you helpful ideas on what you can do on your patio design. Take a look at varying features each of the patios feature for this might be a good highlight for your patio too. Come take a look! 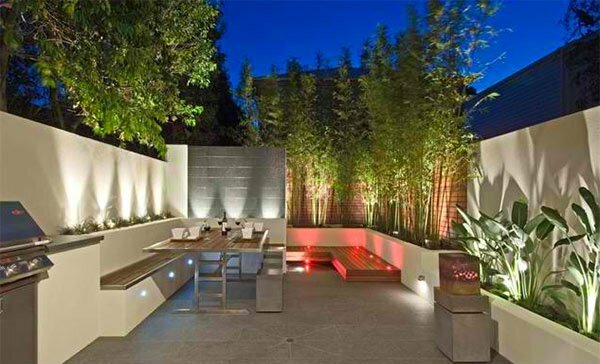 The beauty of this patio is brought by its lighting, sleek lines, plants and its different levels giving it some depth and drama. Don’t you just love the neat look of this patio? Well, aside from that, it also uses a combination of wood, pavers and concrete. And yes, the arcs are very gorgeous! 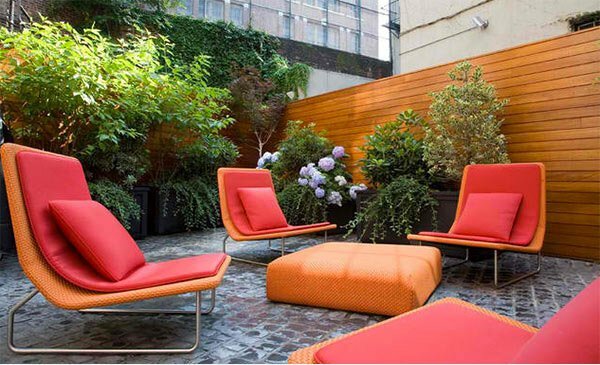 You’d surely be drawn to this contemporary patio because of the pops of colors that you can see here. 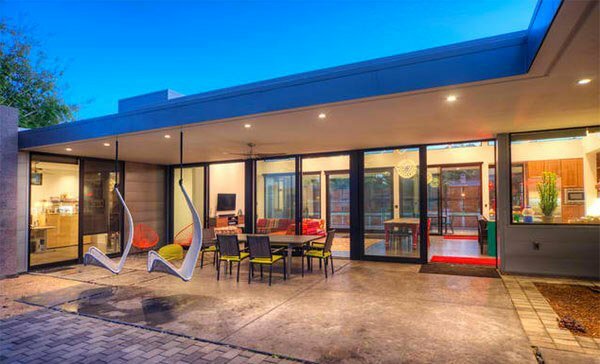 But aside from the colors, the furniture especially the swing chairs are really head turners. This is just one part of the patio. If you will see the rest of it, you will surely envy the homeowners! What a gorgeous patio indeed! 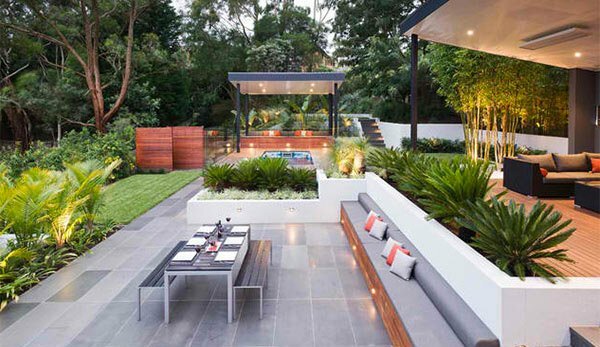 A lovely home in Sydney is graced with this backyard with a beautiful patio combining stones, wood and of course, plants. We know that the first thing you noticed here are the gold stainless railings. 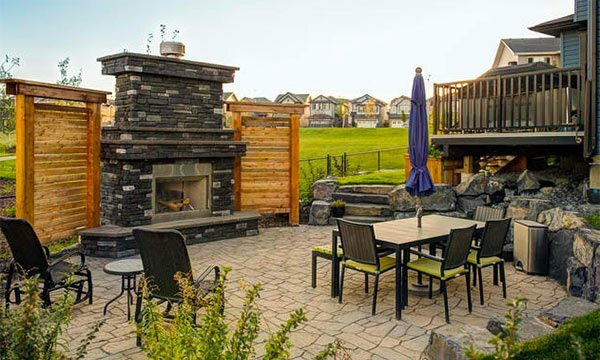 Yes, it is indeed beautiful but draw your eyes to its contemporary backyard patio that has varying levels, a fire pit and some pretty purple plants. 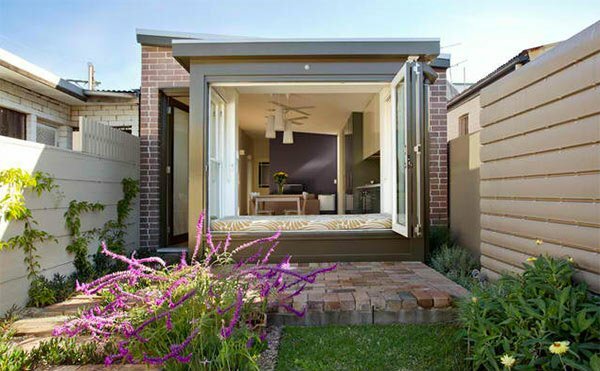 The timber screen in the rear of this patio is all Merbau timber in a 70 x 19mm format. The designers used Intergrain or Cutek stains to bring the timber to life. The concrete for the flooring of this patio is the natural color but it contains 25% fly ash replacement for cement which tends to lighten the color. 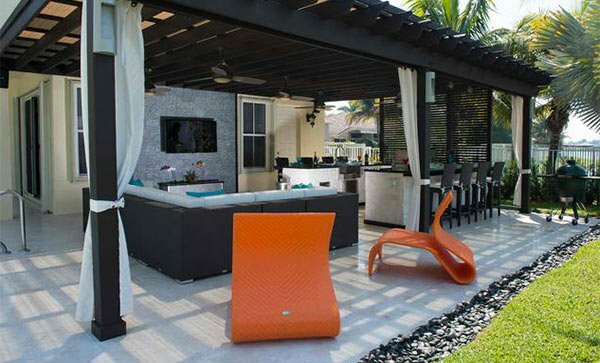 A neat and lovely patio which is graced by tables and chairs made by Kingsley Bate named as The Tivoli Collection. The Belgian cobblestone pavers look really pretty in this patio especially with the charm of the Paolo Lenti chairs! 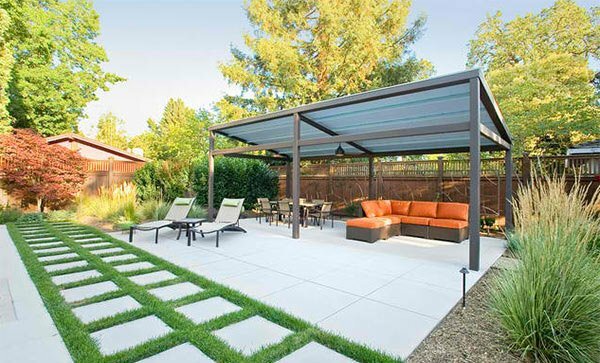 If you have a vacant area in your backyard, you can instantly give it some burst of fun by putting up a patio covered with a pergola like this one. The rear of this home opens completely to the patio with an embedded Olive tree. Board formed concrete retaining walls retain the impression of the wood forms. 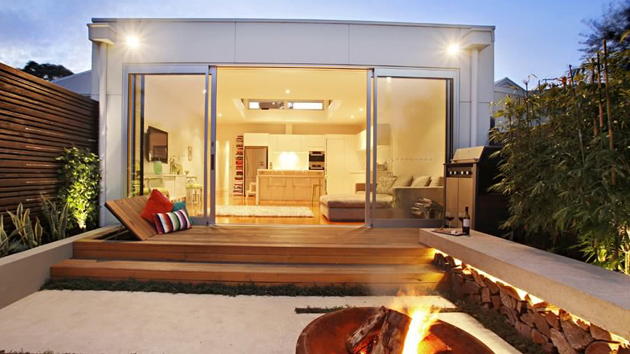 Despite its being 70’s inspired, the patio still retained a contemporary look. The pergola attached to the stone fireplace is a sure win! Custom formed concrete poured in place was surrounded by white stones giving shape and form to this patio. Beautiful patio floors plus the wooden partitions that stand on both sides of the stone fireplace equals a stunning outdoor space! Lovely! 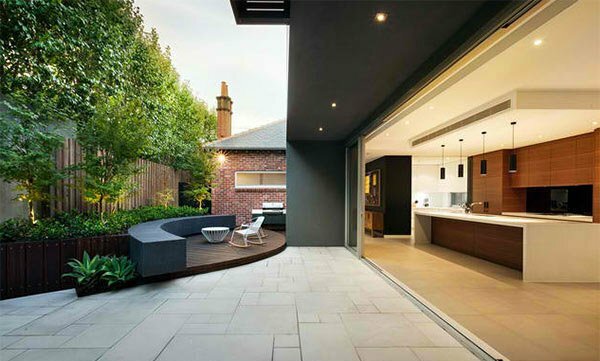 We like the clean streamlined look of the patios above. 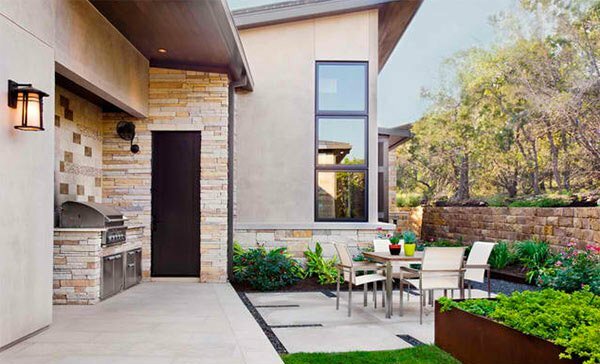 So, if your home has a contemporary style, you can always extend that to the outdoor scene just like the patios featured here. But aside from this, there are more patios that you will love too just like the Asian patio designs if you want some Asian touch to it. 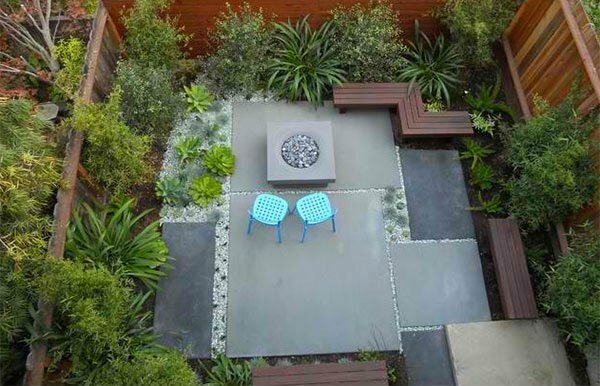 You can also look into some patio gardens which is also a stunning list!